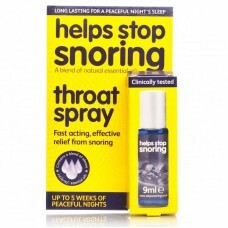 Helps Stop Snoring is ideal for snoring sufferers with hectic lifestyles. The handy spray can be used while travelling and offers up to seven weeks peaceful sleep. 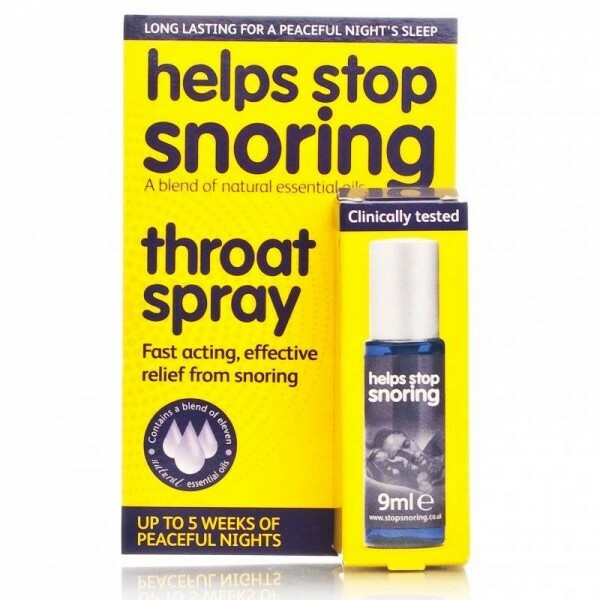 Helps Stop Snoring  Just three sprays towards the back of the throat last thing at night gets to work immediately to coat and tone the soft tissue, preventing vibration and hence snoring. Fine mist moistens the soft palate instantly, encouraging relaxation, whilst its natural peppermint extract aids fresh breath and combats the morning after sluggishness. Helps Stop Snoring has a unique blend of natural essential oils in an easy to use spray format. It is recommended by existing users. Use last thing at night before going to bed. Tilt head backwards keeping bottle upright, spray three times directing spray towards the back of the throat.